As the school year comes to a close, many campuses and departments in Lancaster ISD are acknowledging outstanding staff and students. 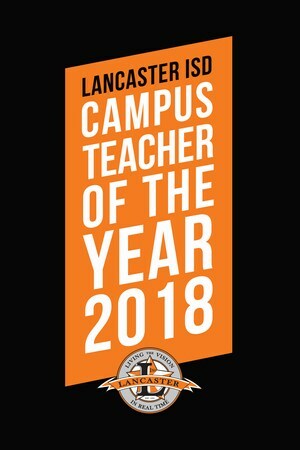 Each campus recently selected its Teacher of the Year and departments, their Employee of the Year. The District’s Teacher of the Year Committee will select two final representatives for the elementary and secondary levels to advance and represent Lancaster ISD for the regional Teacher of the Year selection. On Monday, May 14, the Lancaster ISD Education Foundation will celebrate each honoree during its annual Eye of the Tiger Banquet held at the Lancaster Recreation Center. The celebration continues later in May when the district hosts its Celebration of Excellence Banquet. And, on May 21, The Lancaster ISD Board of Trustees will recognize each Teacher of the Year during its board meeting.